Eutelsat and Televisa renew satellite space deal. Las Vegas, Mexico City / Paris, April 2015: Televisa announces it has renewed and increased capacity on three satellites with coverage of the Americas operated by Eutelsat Communications (NYSE Euronext Paris: ETL). The multi-year, multi-transponder contract strengthening the longstanding relationship between Televisa and Eutelsat was announced at NAB in Las Vegas. The new contract, which includes distribution of HD content, increases capacity on the EUTELSAT 117 West A satellite and extends leases on EUTELSAT 113 West A and EUTELSAT 115 West A for distribution of some of Televisa Networks’ key channels to cable headends across the Americas. 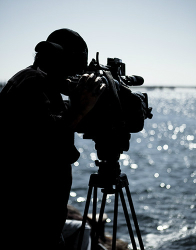 The capacity will also serve Televisa Networks’ requirements for capacity for contribution and occasional use. Televisa Networks, a subsidiary of Grupo Televisa, specialises in the design, production, programming and distribution of 25 owned TV brands and three represented brands in the pay-TV market. It serves a multi-million subscriber base and is present in markets in Mexico, the United States, Latin America, Canada, Europe and Africa. Grupo Televisa is the largest media company in the Spanish-speaking world and a major player in the global entertainment business.